I have had had a successful career in a variety of artistic disciplines. For several years I was a portrait sketch artist on the Greek island of Corfu. Then I became a signwriter and developed a reputation as a pictorial, fairground and mural artist. In 1998 I showcased my House of Murals in the Brighton Festival which received 1600 visitors. It included a trompe l'oeil tropical garden, a Romanesque panorama and a fantasy bathroom with painted walls and ceiling. 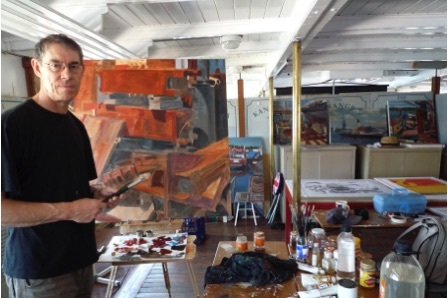 In 2000 I moved to Sydney and earned a living as a full-time artist concentrating on my own work. 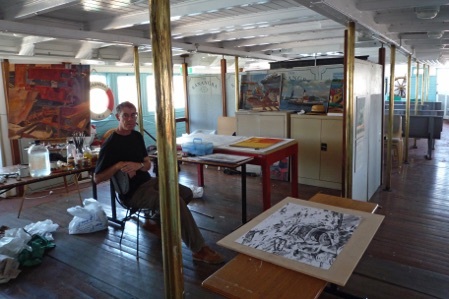 I was selected as artist-in-residence for Sydney Heritage Fleet and was invited to become a member of the Australian Society of Marine Artists. I became an exhibiting member of the Royal Art Society, Sydney and was a finalist and highly commended at various art shows and competitions in Australia. I also illustrated books, one of which was shortlisted for an award. Having returned to England and now living in Devon, as well as exhibiting I publish my own art prints, greetings cards, postcards and mugs and I'm regularly asked to do commissions. 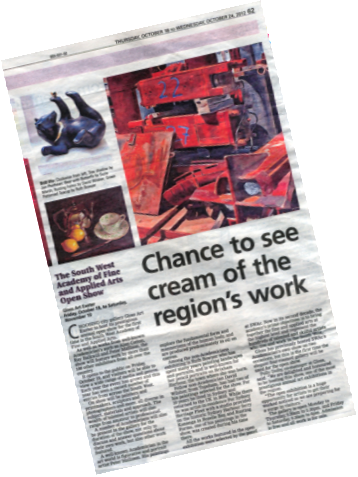 In 2012 my work was featured in a newspaper article about the South West Academy (SWAC) exhibition.